Every establishment in which ten or more persons are employed has to apply for Employees’ State Insurance (ESI) Registration within fifteen days from the date of its applicability. “ESIC” allows medical treatment to the employees insured and their families. It also protects employees in events of illness, disablement, harm, hurt or death due to employment. Losses of wages during the period of his leave from work are also compensated to the insured employees. If Gross salary i.e, Basic+ DA+ HRA of any employee is less or equal to Rs. 15,000/- per month, ESI is to be deducted on the rate prescribed and shall be paid to the Corporation on or before 21st day of the following month in which the ESI was deducted. Self attested copy of, Bank Statement, Landline Bill, Power Connection Bill, water Bill in the name of the establishment, Any license/certificate/number issued by any Govt. authority etc., as address proof of the establishment. In case of company Memorandum/Articles of Association/List of Directors. Business Activity of the firm/company. Details of other Registration in any other statute, if any. If the establishment is covered under PF act, Number issued by the department. Details of employees along with their address, Salaryand date of joining the firm/company with. E-Mail id and Mobile number of the firm/company. Details of Bank account along with a Cancelled cheque. 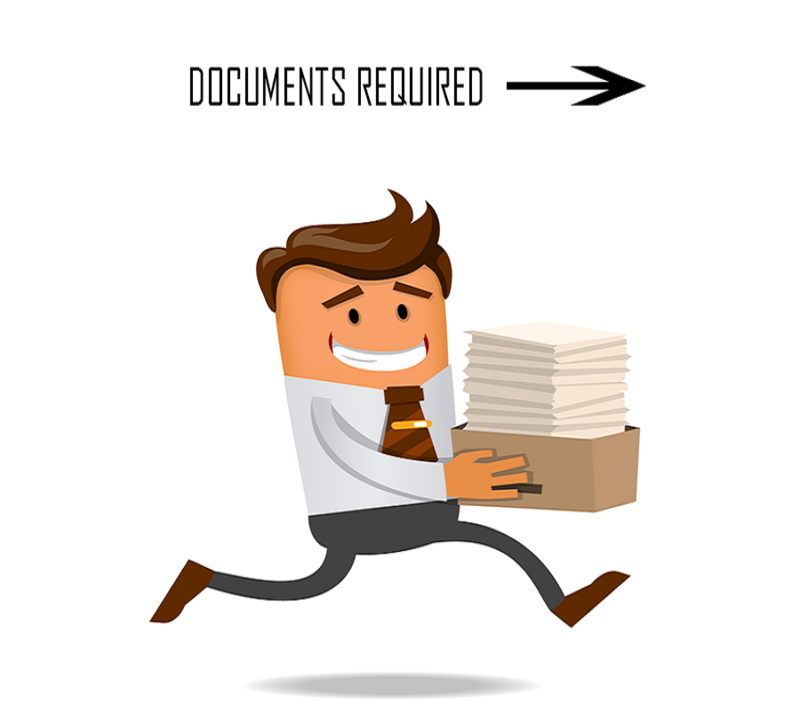 Once we receive the complete documents/information, we prepare and apply for registration. The certificate can be obtained on the same day. The department will examine the application documents and get the physical verification of the premises later on.